This is not the usual content that I post on this weblog, but I thought it was of significant importance that I should share with all who will read it. By posting this, I hope to encourage you to contact your legislators and urge them along these lines. Thank you for contacting me regarding the Patient Protection and Affordable Care Act and its application to Members of Congress and congressional staffers. I appreciate having the benefit of your comments. I believe that all Americans should be exempt from the onerous and costly provisions of the Patient Protection and Affordable Care Act, not just a select few. I believe the best way to remedy this is to repeal the bill in its entirety. The existing American health care system faces a myriad of complex challenges. The 2010 passage of sweeping health care reform holds dramatic implications for our health care system. I often hear the frustration of many Texans struggling to meet their health care needs in the existing system, and I understand the importance of implementing common-sense reforms that achieve results. According to the non-partisan Congressional Budget Office (CBO), spending on the major mandatory health care programs will grow from 5.4 percent of Gross Domestic Product in 2012 to about 9.6 percent in 2037 and will continue to increase under current law. Additionally, the Medicare trustees report that the Medicare program’s unfunded liabilities, benefits Washington has promised but lacks a plan or ability to provide, is more than $36 trillion and growing. There is no question that meaningful health care reform is needed. As you know, during the 111th Congress, President Obama signed the Patient Protection and Affordable Care Act (PPACA; P.L. 111—148) into law. While I understand the need for health care reform, I voted against this legislation because I believe it does nothing to lower the actual cost of health care. I was also deeply disappointed with the process of health care reform. Rather than an open and transparent process to allow careful evaluation of complex legislation affecting all 300 million Americans, this law was developed behind closed doors and passed with special interest deals and political payoffs. Appropriate reform must lower health care costs for American families, taxpayers, and businesses. Unfortunately, this law simply expands a broken system exacerbating our current health care problems. The PPACA spends $2.6 trillion over a ten year period. Additionally, it raises taxes by more than a trillion dollars over the next decade—negatively impacting job growth and the economy. These taxes include a substantially higher Medicare payroll tax, which could harm small businesses, and new taxes on medical treatments, which will ultimately mean higher costs for patients. Furthermore, the PPACA will cut more than half a trillion dollars from the nearly-bankrupt Medicare program to create unsustainable new entitlement programs. The PPACA also does nothing to effectively address rising health care costs. According to the CBO, small businesses will continue to face premium increases and premiums for families purchasing insurance on their own will also increase. In fact, the average family premiums for employer-provided insurance have already risen by $3,065 over the last four years. Medicare’s Chief Actuary issued a report showing that national health expenditures will increase, not decrease, under the new law. As you know, the Supreme Court upheld the constitutionality of the majority of the PPACA. 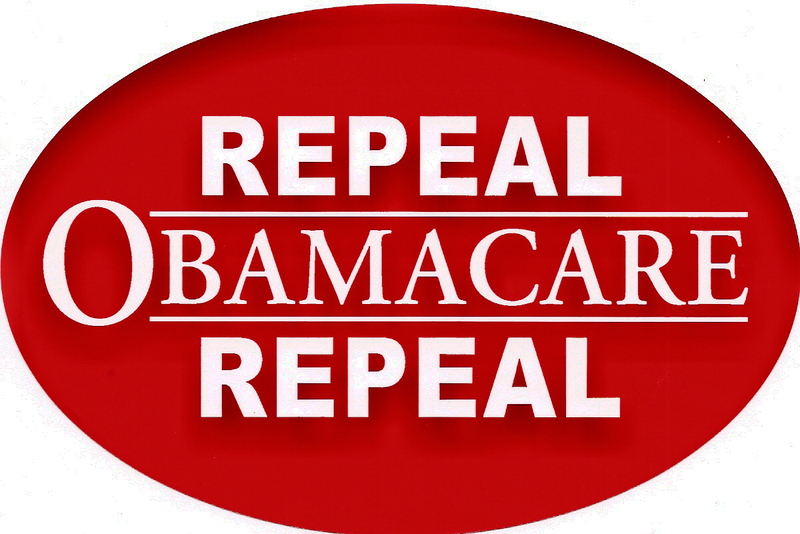 I am disappointed by the Supreme Court’s ruling and remain committed to repealing the PPACA. To this end, I am proud to cosponsor Senate Bill 177 (S. 177), which would repeal the health care reform law. Additionally, I cosponsored an amendment to the Consolidated and Further Continuing Appropriations Act for Fiscal Year 2013 (P.L. 113-6) that would have defunded the PPACA, as well as an amendment to the Fiscal Year 2014 Senate Budget Resolution (S.Con.Res. 8) that would have repealed the PPACA. I am disappointed that these amendments were not agreed to, however, you may be certain that I will continue to work towards a full repeal of the PPACA. Congress must repeal this fundamentally flawed law and replace it with realistic reforms that lower health care costs, address entitlement spending, and increase access to affordable health coverage. The right kind of reform will emphasize individual choice and allow patients, their families, and their doctors—not government bureaucrats—to make their own health care decisions. I hope this will encourage you to contact your legislators. The really good ones, like Senator Cornyn, really do listen.